June is fast approaching and with it the ‘Stand by Me Auldnutters’ treacherous mountain challenge! 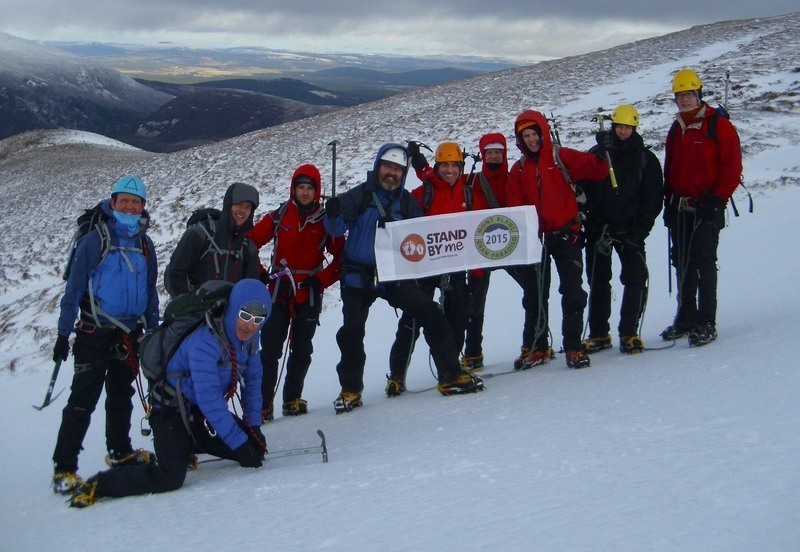 The team have set themselves the task of 7 days of high altitude trekking to the highest peak in Western Europe, Mont Blanc (4807m), followed by the iconic Mont Blanc marathon on 28th June 2015, all to raise funds for Stand by Me children in Colombia. Although Stand by Me have seen tremendous progress in the children’s development in Colombia since our work there began, we are still facing great challenges on the medical front. Having grown up in the midst of poverty and violence, many of our children have severe health issues which have worsened due to not being able to afford medical treatment. Many of our children are also suffering from psychological problems as a result of neglect, abuse and violence experienced in their homes. “The intrepid team have finally been assembled and put through their paces. Eleven freshly kitted out muppets left for the Scottish Highlands last Friday to learn or relearn some vital winter skills in preparation for the Alps. Helmets, harnesses, crampons, ice axes, ropes and a shed load of jelly babies. Thoroughly enjoyable and extremely beneficial. The Team Award went to Stewart for “Top Chef” and “the Ice Axe Arrest King”. Please visit the team’s fundraising page to support them.